You can read about the superiority of this CERAMIC CLEAR COAT or just watch the video below. 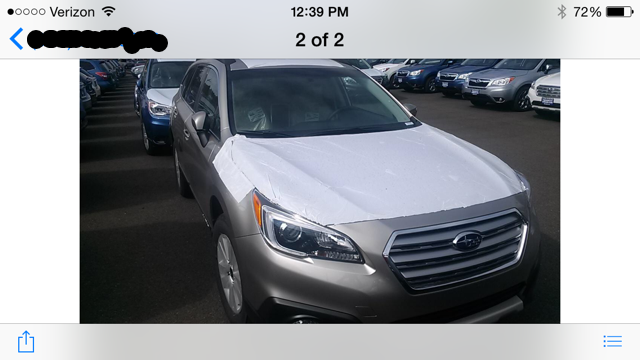 Our personal car, we picked it up on August 22nd 2014 (it was a Friday night) with the plastic wrapping on the car – the dealership was instructed to not touch the exterior in any shape or form. No wash, no detail, the car was going to be driven away in “as is” condition. We drove the car home Friday night and it set in the garage until I started prepping it the following morning. With the exception of the headliner, every inch of the car was coated. All exterior, (OPTI COAT PRO), glass (OPTI GLASS PRO) carpet/seats, (OPTI GUARD FABRIC) leather/vinyl (OPTI GUARD LEATHER) were applied. Took me 2 and 1/2 days. I followed the basic instructions that comes from Optimum Polymer Technologies – that is, no washing the car for 7 days, and no “normal” car wash for the first 4 weeks – Use only ONR – OPTIMUM NO RINSE. That was it. Since that day, this car has only received regular, or semi regular washes. The paint is very hard, (after the 30 day curing period), which helps preventing wash induced swirl marks, stays clean much longer, the washes are a breeze, easy to dry, and after each wash, you are presented with a “freshly detailed car”. No worries about wasting time on the weekends “detailing your car anymore – all you ever need to do is wash the exterior. OPTI COAT does not wear away, it adheres to the clear coat underneath it. No reapplication, no polishing the paint and best of all, the initial gloss is also permanent. Try that with any of those “semi permanent” nano sealants under the same “coating” category. This BTW is a good lesson for everyone who is purchasing a new car. Instruct both your salesman and Service Manager to leave the car’s exterior alone and leave the plastic wrap on the vehicle. This is your only solution to keep the paint swirl free as you drive away from the dealership. There are however some cases where the car comes with scratches and swirl marks from the factory or due to improper handling by the transport company. Unfortunately, if you are purchasing a car off the lot, it will be too late and your chances of having swirl marks in the paint is close to 100%. The good news is that those swirl marks can be removed. Unfortunately, if you are purchasing a car off the lot, it will be too late and your chances of having swirl marks in the paint is close to 100%. The good news is that those swirl marks can be removed. Here is the short video demonstrating the durability of a PERMANENT COATING and how it behaves even after 32 months. The water just rolls right off the paint, just like the first time I wash it.